Correctly selected ceiling can radically change the room: make it higher. Therefore, the choice of material and configuration should be treated responsibly. A popular option, which is suitable for a private house, and for an apartment - floating ceiling from plasterboard with illumination. It looks beautiful, easy to install, it is not too expensive. 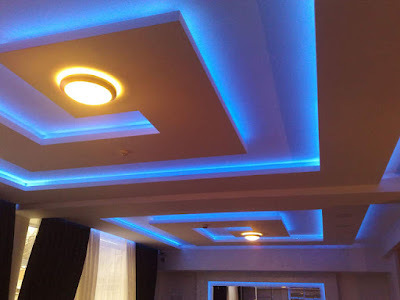 Let's take a look at its features and advantages over other types of the ceilings? What is a Floating ceiling? The main feature of this ceiling is a structure that seems to float in the air without support. The effect is achieved through special hidden fasteners, which we will discuss below. 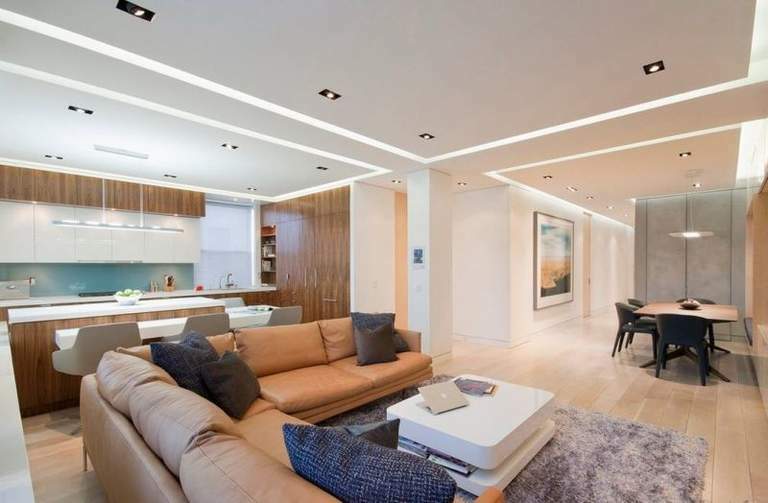 Enhances the impression and the backlight, which is usually installed around the perimeter of the drywall unit - a soft glow not only looks beautiful but also helps to hide the mounts. 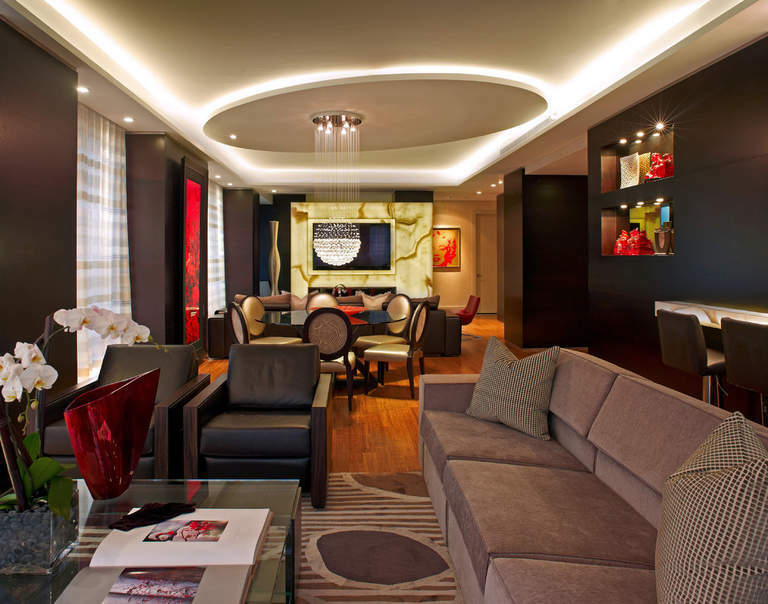 The choice of ceiling design is based on the size of the room and its general style. 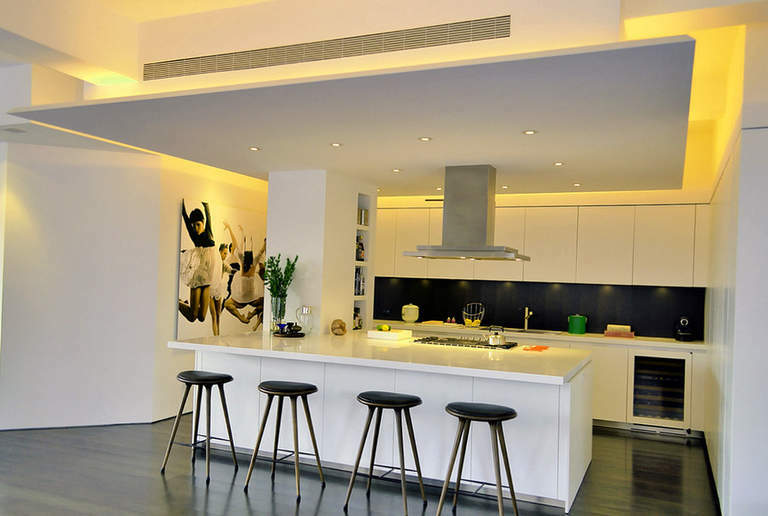 For example, for a small kitchen, a single-level ceiling is more suitable, and a complex floating cascade of several elements can be installed in a large living room. Floating ceiling drywall is a popular material for finishing the ceiling. It is inexpensive, light and able to hide communications and all the shortcomings of the rough finish. 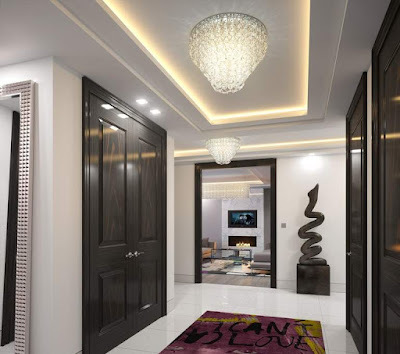 Unusual appearance attracts attention and makes even the simplest design beautiful and stylish. Despite the popularity, such ceilings are not considered to be banal. The illumination along the perimeter of the construction not only creates a hovering effect but also serves as an additional source of light. In addition, this technique helps visually increase the room, make it higher and more spacious. Using several floating panels will help you in zoning rooms. 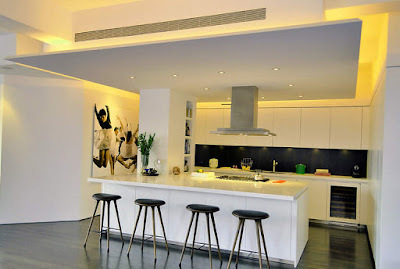 This is especially true for studio apartments, where the division of space into zones is one of the priority tasks. 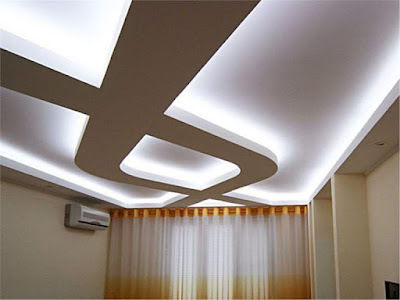 The floating ceiling installation is quite simple and if you wish, you can handle it yourself. If you want to update the design - it's enough just to repaint the plasterboard panels! 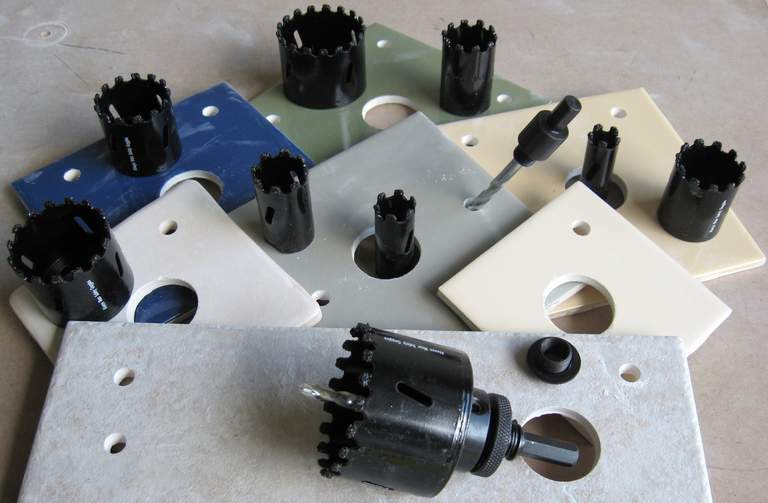 In addition, It can take almost any form, which means that the number of design solutions is unlimited. 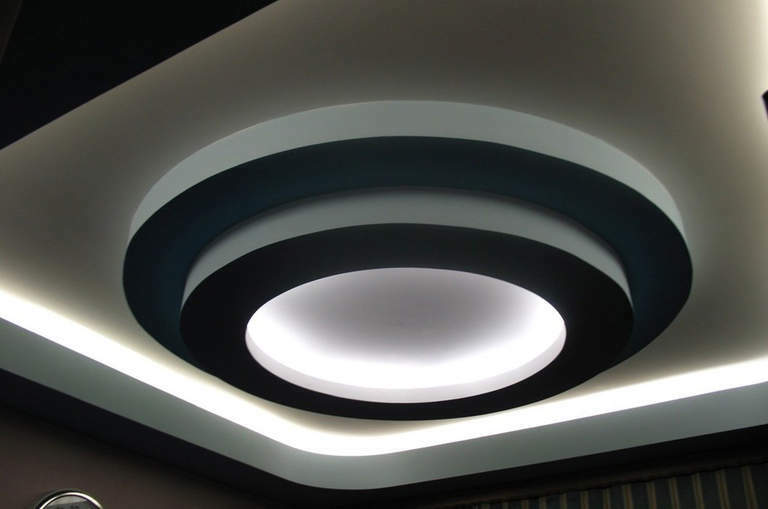 If you want to install a floating ceiling from gypsum plasterboard with a backlight yourself, you will need this step-by-step installation instruction, which we prepared for you. Do not give up on it - and you will succeed! It is necessary to carry out all measurements and calculate the required amount of material. It all depends on what kind of construction you are planning. In addition, you need to make a drawing - then you can come in handy professionals. Step 2: Install the frame. To do this, you need to apply the markup, considering that the first level of construction should be below the ceiling at least 10 centimeters. 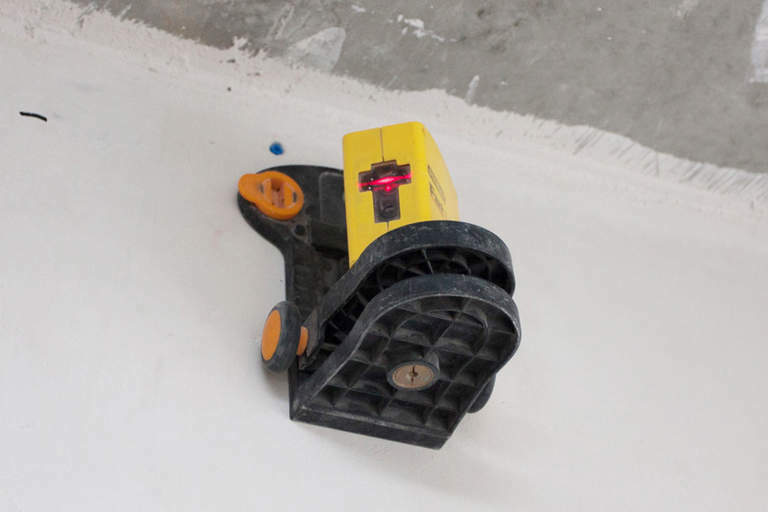 On the markings, make holes for the profile (use a puncher). go to the mounting profile using self-tapping screws. We recommend that you regularly check the profile, whether the design falls flat - otherwise you risk getting a curved ceiling that will spoil the whole impression. It is necessary to process gypsum sheets. Apply markings according to the drawing. Then cut the cardboard with a sharp knife and carefully divide the blade into pieces of the desired shape. 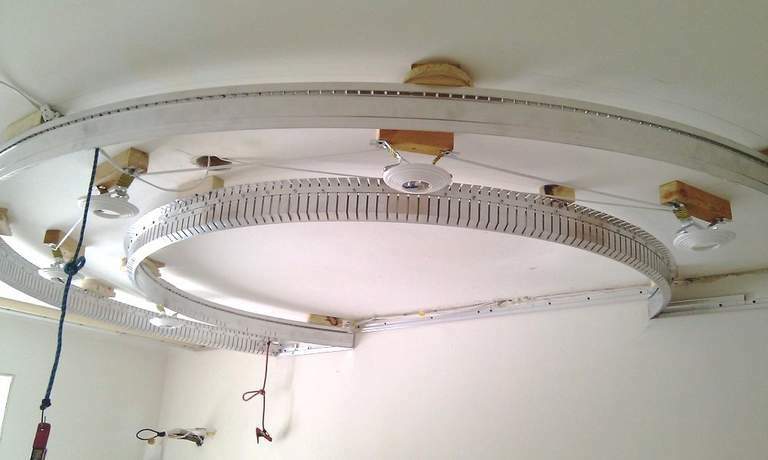 Important: Do not forget to cut openings for fixtures - it's quite difficult to do this in a ready-made floating ceiling. Is an important step for creating a beautiful lighting structure. 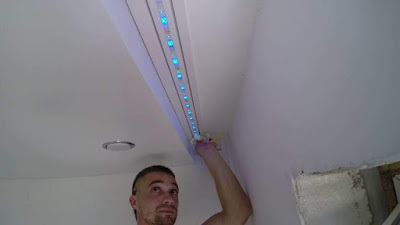 Buy the LED strip of the required length. In building stores, you can choose the right shade: match it so that it fits in with the interior of the room. 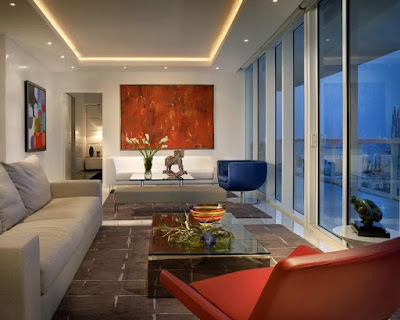 For some rooms are suitable multi-color, and in some, it is better to limit the classic white or bluish tint. Important: The diffusion of light, creating the soaring effect, is highly dependent on the accuracy of the installation. 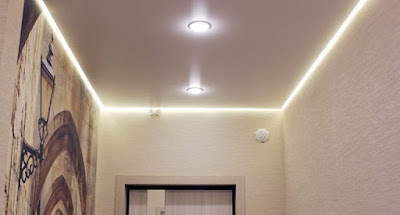 LED strips are stacked simultaneously with the profile, which is equipped with a translation layer - it will soften the flow of light and make it more diffused. Make sure that they run along the entire perimeter of the future ceiling - any gap will change the effect not for the better. 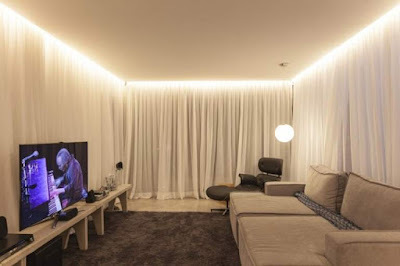 Attention: If you are afraid that the light will be too weak or, conversely, excessively intense - choose a backlight that can be adjusted by the remote control. This will help achieve the desired brightness and even change its color. Step 6. 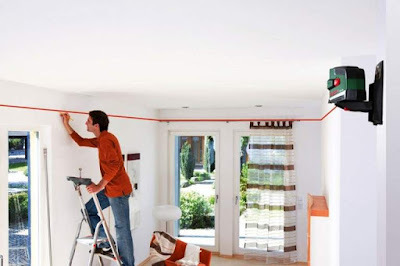 The most important step is the installation of a drywall itself. In accordance with the profiles, install the prepared elements in the joints. They are fixed with self-tapping screws. Important: Make sure all panels are securely fastened to the fasteners. If you think that some part of the design is unreliable, it is better to add additional fasteners. Step 7 . It's time to move on to the final part of the work - finishing. Primer should be primed. Then proceed to the putty. Now all you have to do is paint the slabs or paste the wallpaper. The solution depends on the design concept you choose. Note: Putty and primer are not complex in themselves. But they will take a long time - each layer will dry for about a day. We advise you not to try to speed up the process - the quality of the final result depends on this. 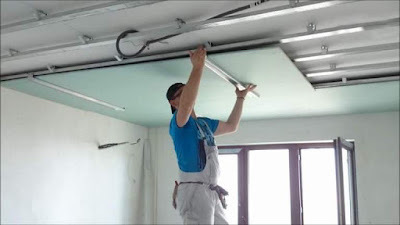 We hope that our instructions helped you to understand how to make a floating ceiling from plasterboard with your own hands. As we have already said, there are many options for the design of such ceilings. Each of them has its pros and cons and can look different in one or another room. Let's see what types of design are considered the most popular and effective. Sometimes a time-tested classic is the best choice. Due to the lighting, the one-level gypsum board ceiling can be transformed. The room will seem taller and more spacious. This solution is excellent for hall and small rooms, kitchens, bathrooms. 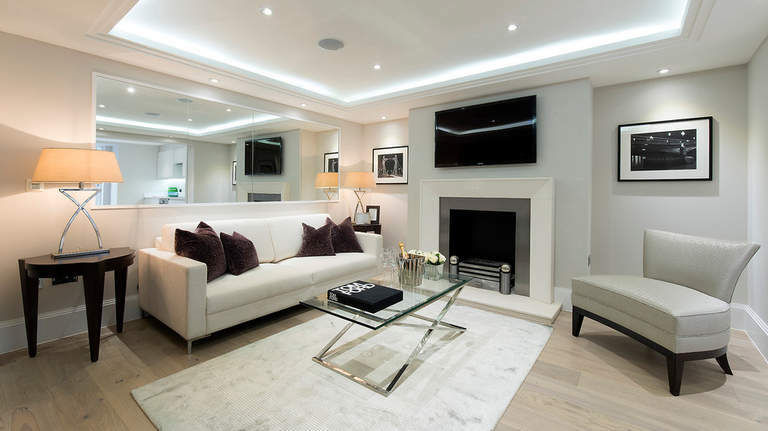 However, in a large room it will also look spectacular. Choose the type of ceiling lighting depending on the style of the interior. 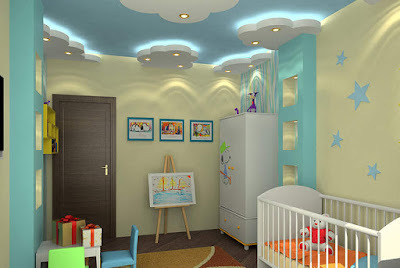 By the way, it's not necessary to make the ceiling white - the colored floating ceilings look very beautiful and unusual. 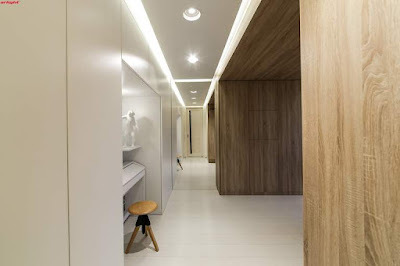 Despite the external simplicity of the design, you will be satisfied with the result. A more complex solution requires a certain amount of space. Given that each level requires at least 10 centimeters, be sure that you have enough height of the walls - otherwise the room will become very low. 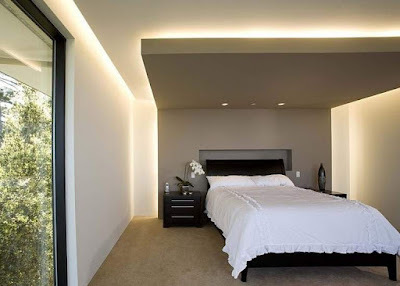 Smooth transitions of the lighting floating ceiling look very elegant and beautiful, however you can add brightness: just use different colors of illumination. Note that they must be combined - do not try to combine warm and cold tones. It is not necessary to use a continuous panel. Very unusual look floating in the air geometric shapes, gently highlighted on the contour. It is better to abandon the idea of multi-type elements - several symmetrical triangles or different-sized circles look much nicer than transferring the entire list of geometric shapes to the ceiling. The first rule that you need to remember, if you liked this design option - no frills. 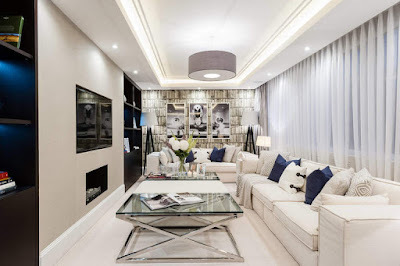 This type of design is suitable for large rooms - in small you will lose the entire visual effect. Do not think that hanging floating elements can only relate to geometry. You can use even more complex options: flowers, stars, animal outlines. 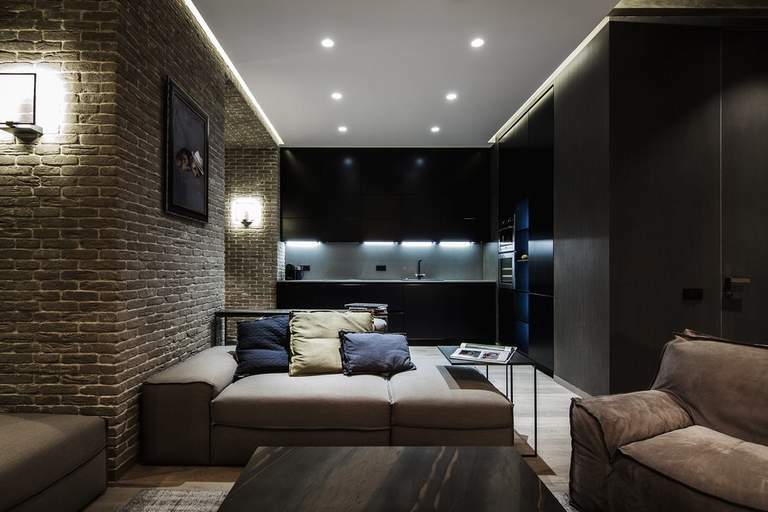 Idea: If you are looking for an unusual decoration for a black and white interior, try to recreate a zebra from gypsum plasterboard. White stripes will show the highlight - agree, a bold, but the original solution. The elements illuminated in this way look very unusual and beautiful. Do not be afraid of experiments - just select that floating ceiling that will blend in with the overall style of the room. As you can see, a wide variety of floating suspended ceilings from plasterboard allows you to choose an option for every taste for any room. It does not matter which style you prefer - classic or hi-tech. 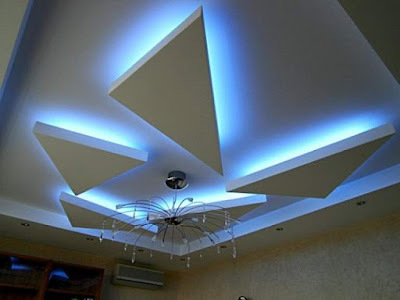 Having developed a fantasy, you will find the perfect solution for the decoration of the ceiling.